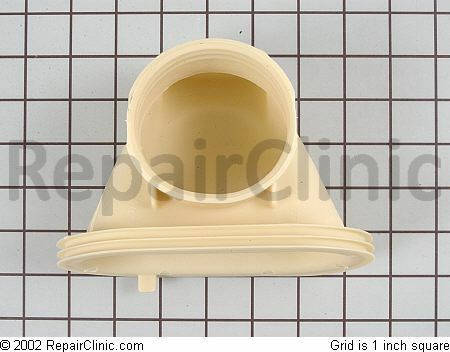 Many a noob attempting to replace or reinstall the rubber sump inlet boot on these GE dishwashers end up with water leaks at the boot-tub junction. As a result, they are often tempted by the Great Satan to use silicon sealant to make a water-tight seal, not realizing that this is but a poor attempt at a band-aid for an improperly installed sump inlet boot. No silicon necessary, the most common thing I see with [leaking] complaints is that the sump isn’t correctly in the channel of the tub. When it enters the tub you have to stretch the rubber over the groove, not on the inside. When you have it correct, it will lay there flat, flush with the bottom. This entry was posted in Dishwasher Repair on September 26, 2010 by Samurai Appliance Repair Man.